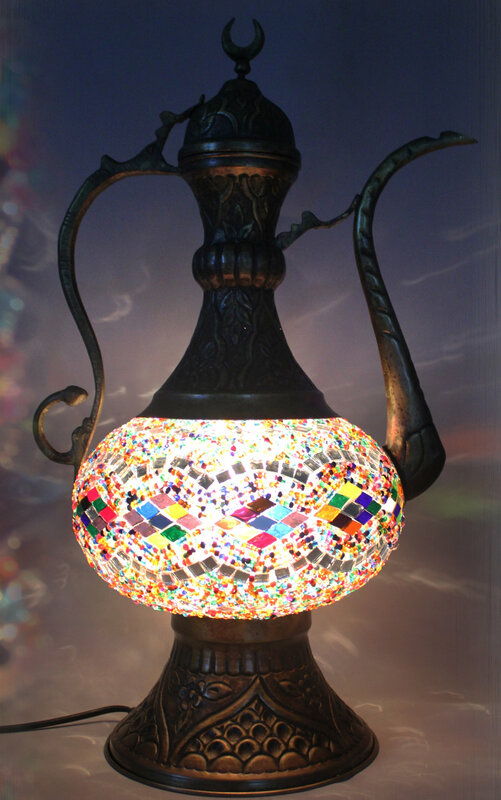 In order to make the mosaic lamps pieces of colored glass are measured and cut, then the bits of glass and beads are secured in various geometric patterns and designs onto the handblown sphere. 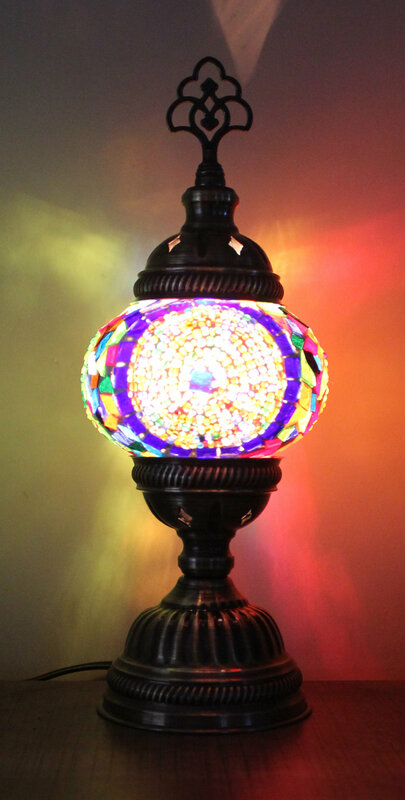 The sphere is then dried and covered in ceramic and lastly polished to reveal the intensity of the colors. 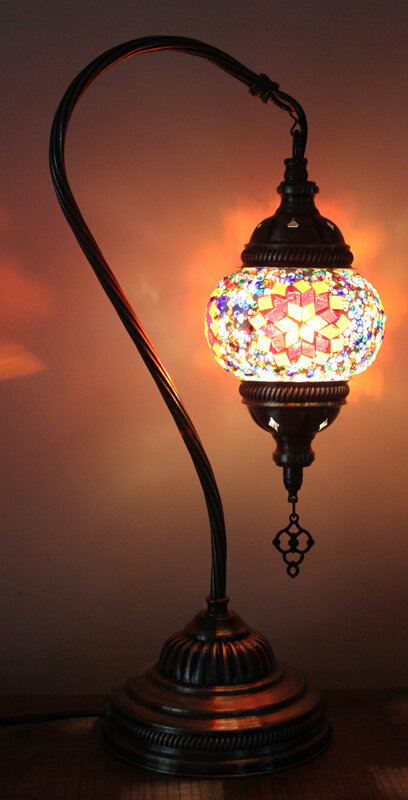 Handmade Turkish Ottoman lamp made by artists in Turkey. 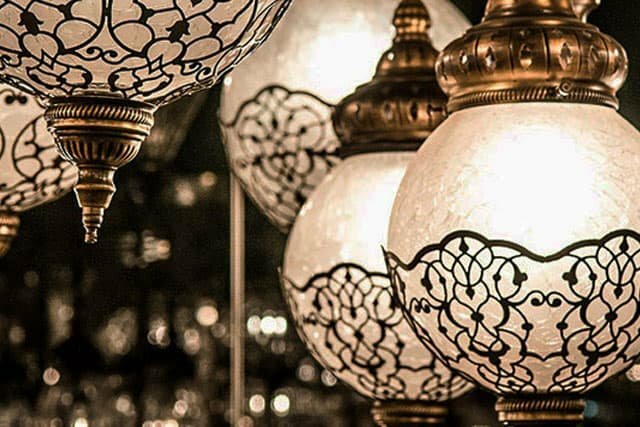 The design of these lamps comes from the art movement of the great ottoman empire. 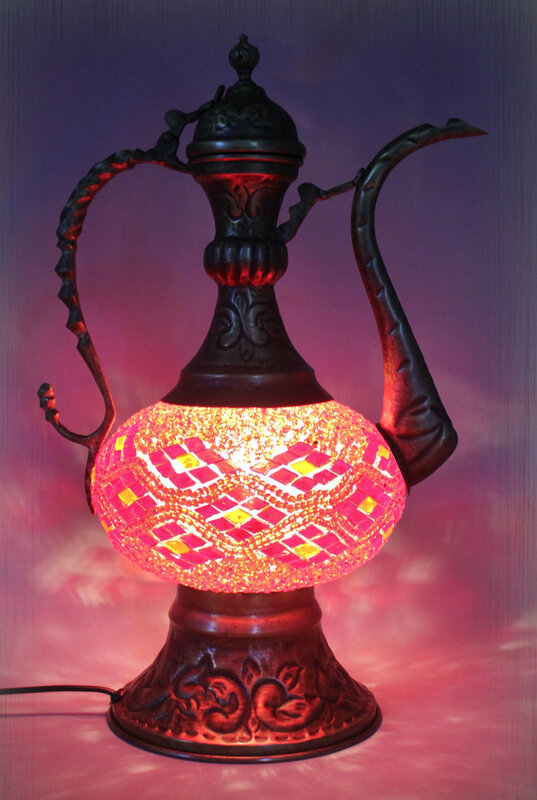 It is a unique and one of a kind item with historic roots tying it all the way back to the 18th century. 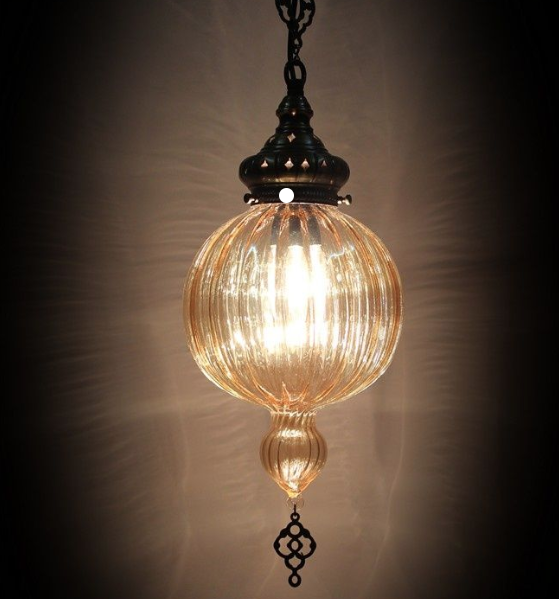 This beautiful lamp is made out of high quality brass and the globe has a cracked glass effect. 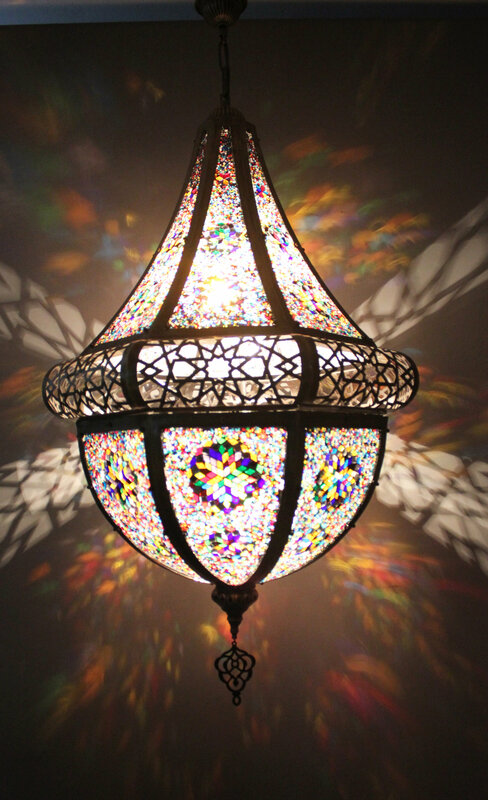 The amount of light that comes through is subtle but still bright enough to cozy up and read a book. 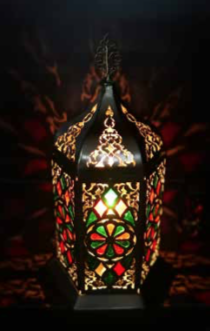 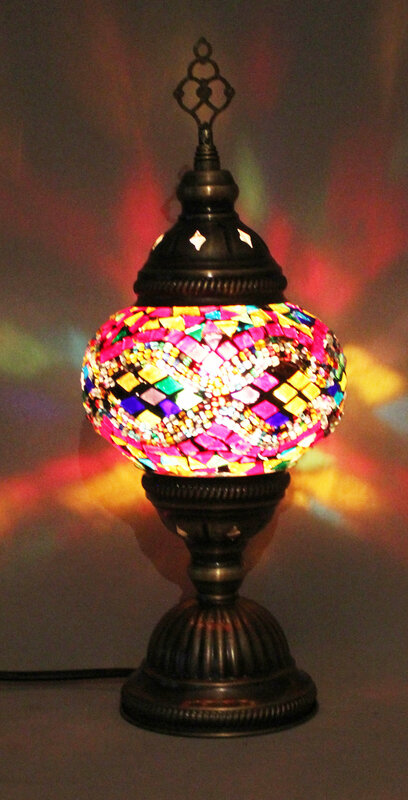 Allow the warmth of the middle east into your home with these mosaic hanging lamps. 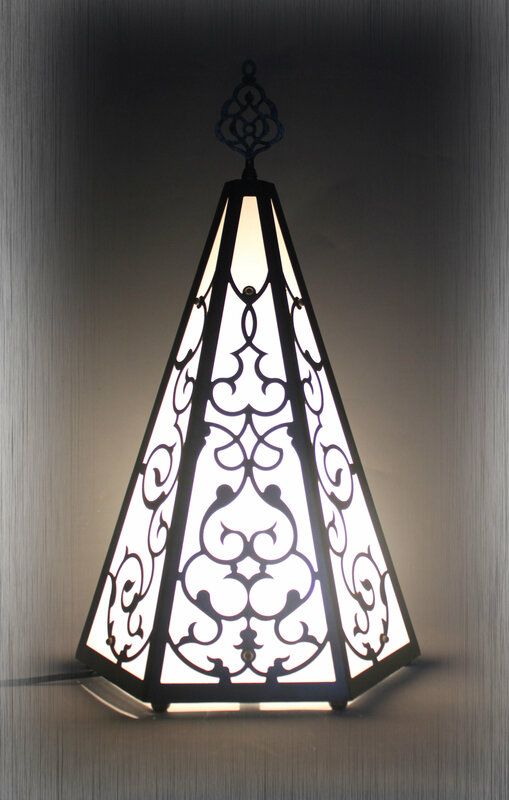 The various colors and patterns of the lamp create an intimate and inviting living space. 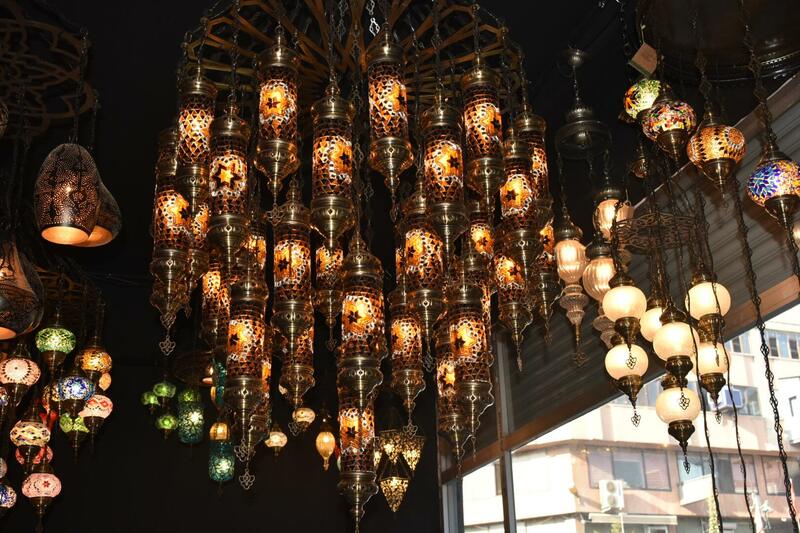 Multiple hanging lamps in one space will make your home a work of art. 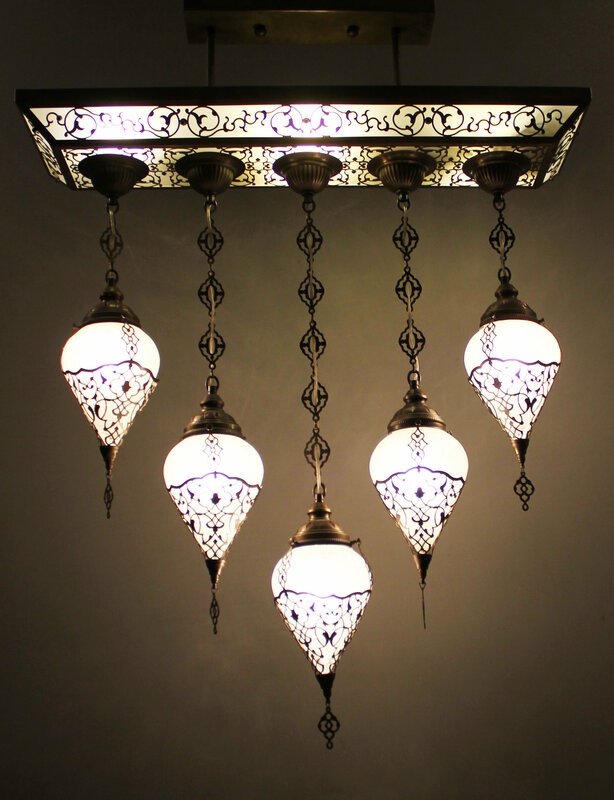 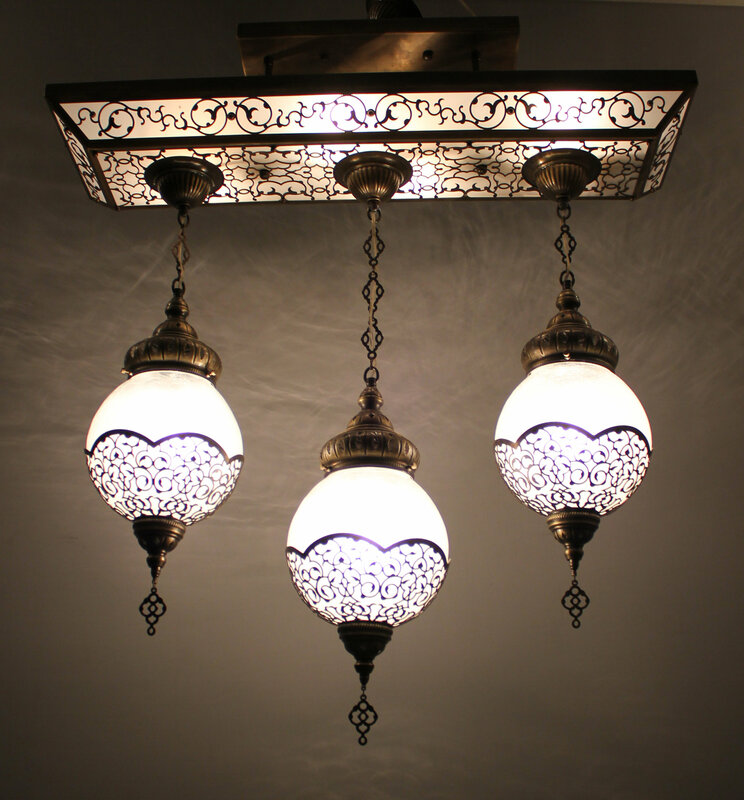 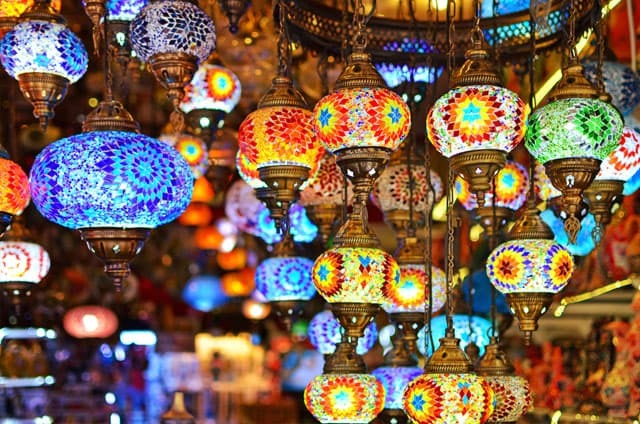 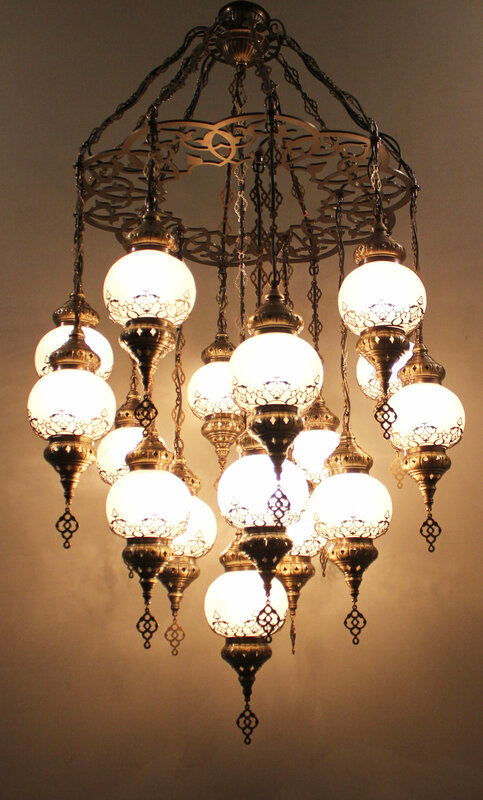 Add timeless elegance to your space with these Turkish chandeliers. 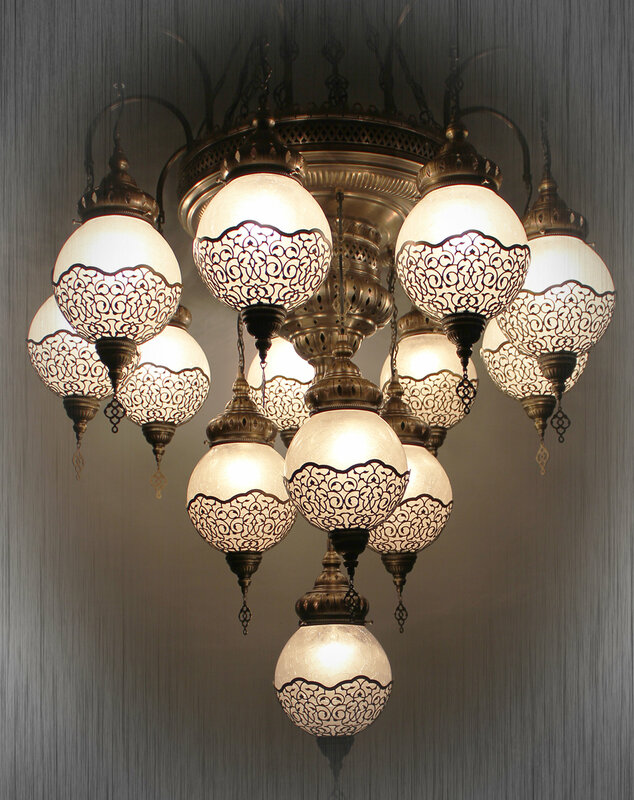 We offer a variety of chandeliers, from classic to eclectic, you are sure to find something to fit your space. 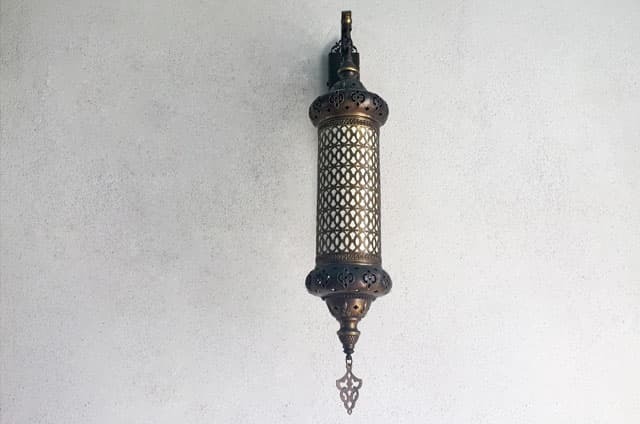 Add a touch of Turkish spice to your hallways and rooms with a wall lamp that is sure to make a statement.Our stunning wall lamps will give any room a warm a luxurious ambience. 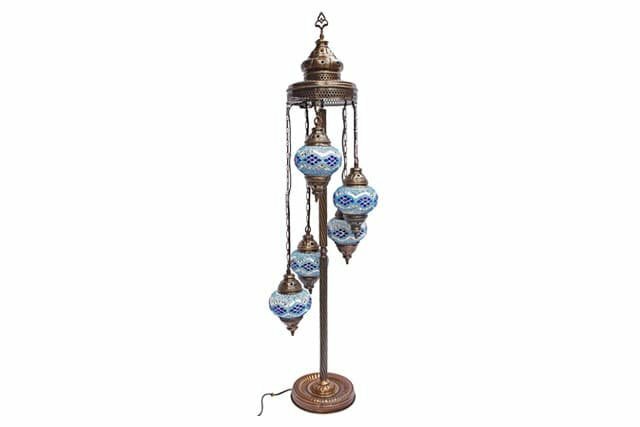 Our Turkish table lamps add a bohemian touch to any room. 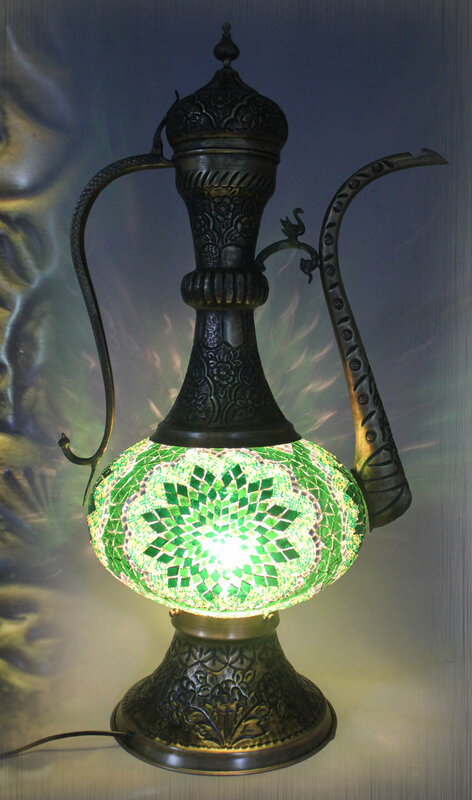 When the lamp is lit; the design of the globe will create a beautiful pattern on the surface it is placed. 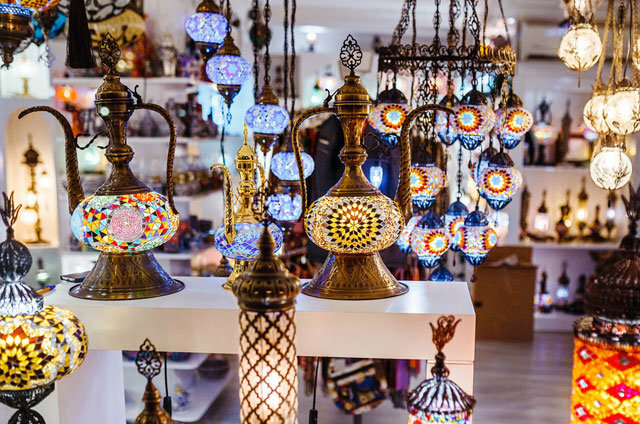 With their timeless style, Moroccan lamps will transform your space into a dessert oasis. 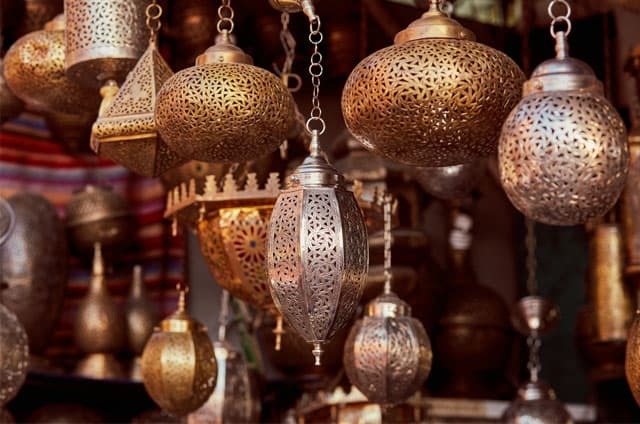 The treated metal of the lamp is pierced by hand and is electroplated with copper and nickel before a final finish of lacquer is applied. 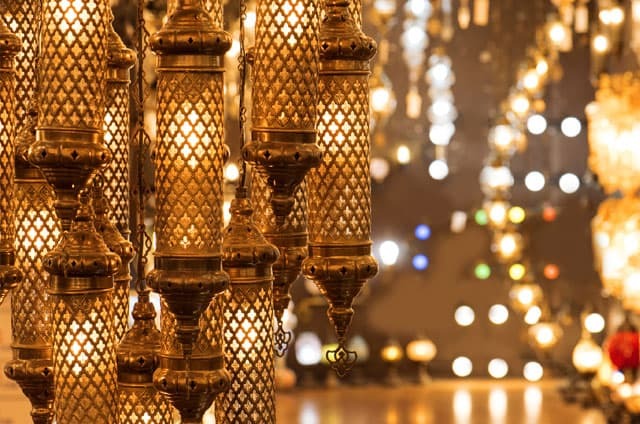 When lit, the lamps beautiful golden color will add shades of amber to the space. 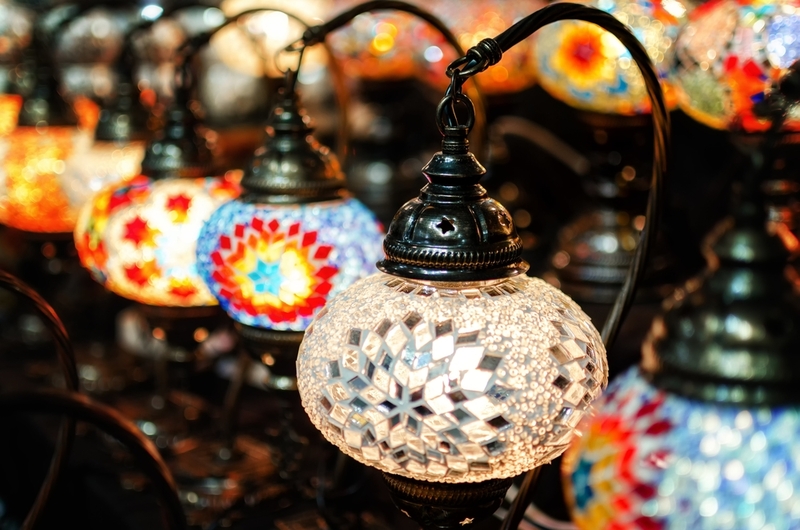 Our glass blown lamps, are mouth blown and are crafted to perfection by Turkish Glass blowers. 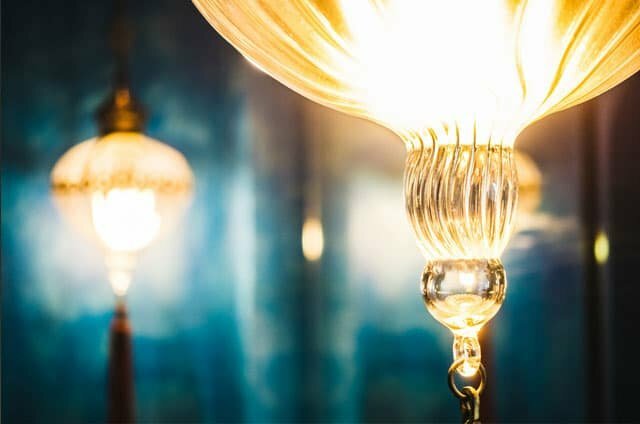 Chemically, Pyrex contains borosilicate and expands only about one-third as much as common glass when heated. 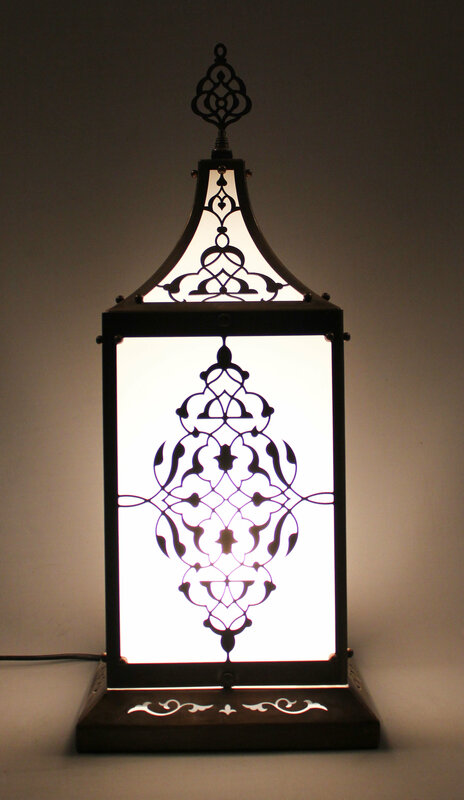 As a result, pyrex glass lamps are more durable and less likely to break. 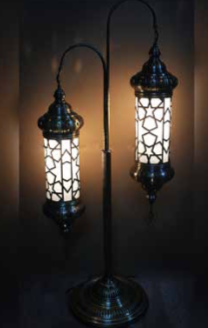 The chain lamps will turn any room into a luxurious space; transporting you to the glamorous times of the 1920's. 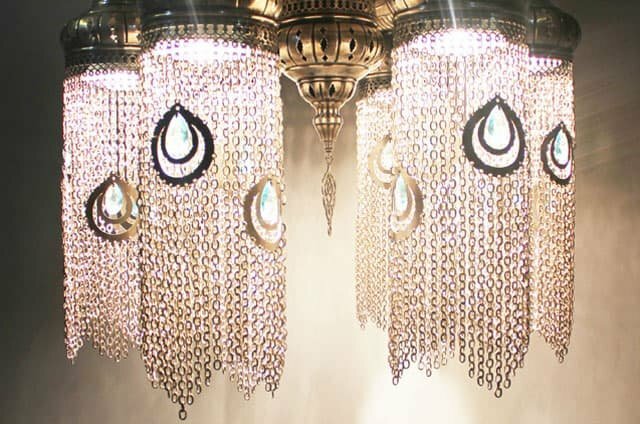 When lit the light is amplified due to the chains and crystals that decorate these lamps; creating high intensity sparkle.